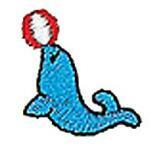 Enjoy embellishing with 4”x4” embroidery designs with your favorite Nickelodeon characters. 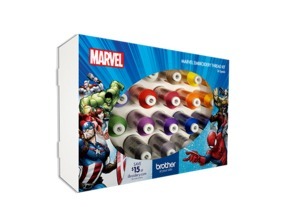 Kids will be excited to see their favorite characters come to life on clothes, accessories, gifts and more. 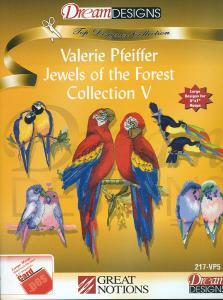 The collection includes a total of 25 4’’ x 4’’ embroidery designs. The CD contains .pes files, which are compatible with Brother-manufactured embroidery machines. 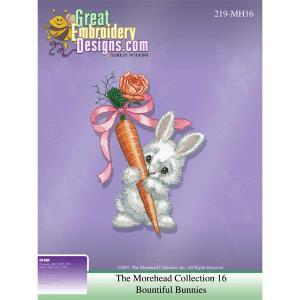 These files may be converted to other embroidery formats with most embroidery software (available for additional purchase). For use with all embroidery and combo machines. Only One Left, Enjoy embellishing with 4”x4” embroidery designs with your favorite Nickelodeon characters. All your favorite characters from Bikini Bottom including Spongebob, Patrick, Squidward, Sandy, Mr. Krabs, Gary and Plankton are all on this amazing SpongeBob SquarePants Embroidery Design CD. Kids and adults will be excited to see the characters come to life on clothes, accessories, gifts and more! Works with all embroidery and combo machines. 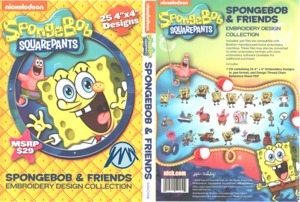 Introducing the new SpongeBob & Friends Embroidery Design Collection CD! 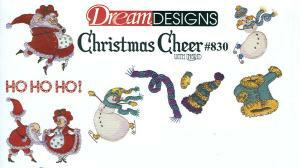 Collection includes 25 4" x 4" embroidery designs. 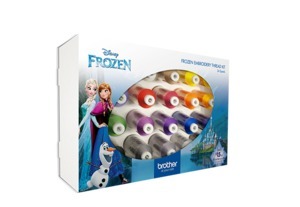 Contains .pes files compatible with Brother-manufactured embroidery machines. What time is it? 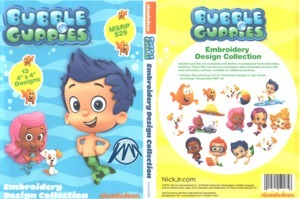 It’s time to own you very own collection of Bubble Guppies embroidery designs! This fun group of designs features all the beloved characters from the show including Molly, Gil, Goby, Deema, Oona, Nonny, Bubble Puppy, Mr. Grouper and Little Fish. Kids will be excited to see their favorite characters come to life on clothes, accessories, gifts and more! 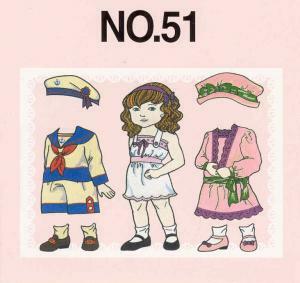 The collection includes a total of 13 4’’ x 4’’ embroidery designs. The CD contains .pes files, which are compatible with Brother-manufactured embroidery machines. These files may be converted to other embroidery formats with most embroidery software (available for additional purchase). 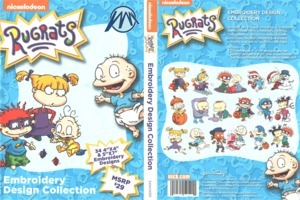 Tommy Pickles and the lovable gang of babies from Rugrats are available on one embroidery design CD! Now you can embroider Tommy, Chuckie, Phil and Lil, Angelica, Dil, Kimi and even Susie on items such as jackets, hats, bags, bedding and more. 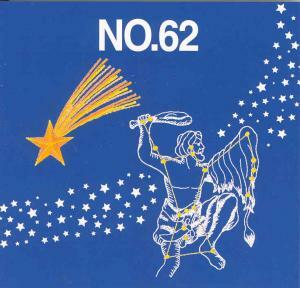 The collection includes a total of 17 4’’ x 4’’ embroidery designs and 17 5’’ x 7’’ embroidery designs. The CD contains .pes files, which are compatible with Brother-manufactured embroidery machines. 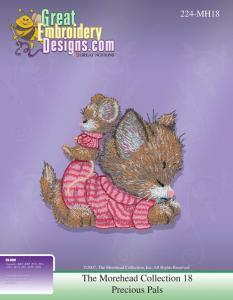 These files may be converted to other embroidery formats with most embroidery software (available for additional purchase). 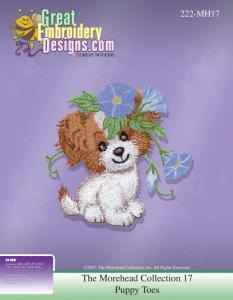 Create stunning, 3-dimensional embellishments for crafting, gifts, home décor and more with the 3D Lace Embellishment embroidery design kit. This inspiring kit includes fifty-five beautiful embroidery designs on a USB memory stick, and easy-to-follow, visual instructions to make sixteen projects using these designs. 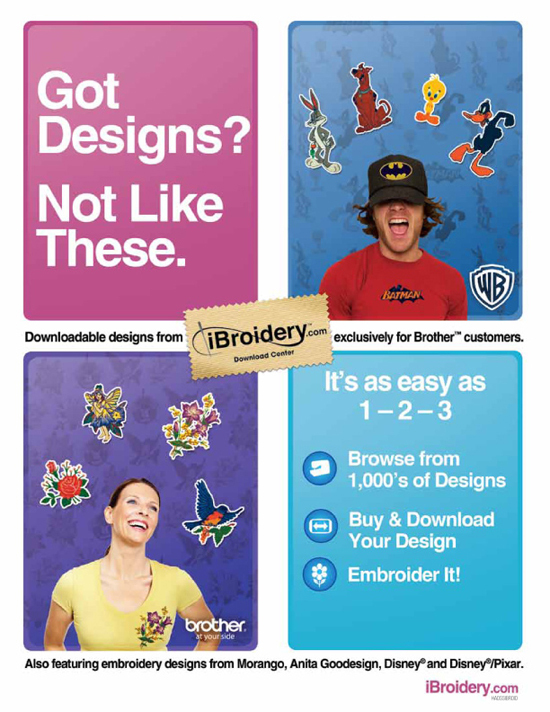 The design files can be used with any Brother™ embroidery machine, or any other embroidery machine that accepts .pes files. Creating your custom embellishments is easy – simply embroider your selected designs onto water-soluble stabilizer using your choice of embroidery thread, rinse to remove the stabilizer, and follow the instructions to sew the finished pieces together. Also for use with: Baby Lock (machines that use .pes), Bernina Deco 500-650, Simplicity-SE3, & White 3300. 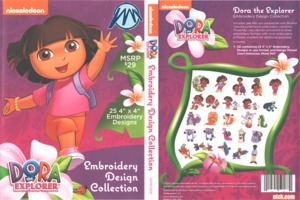 10823: Brother SA-N3 Nickelodeon Blues Clues Embroidery CD, 25 Designs, 4x4"
The thread collection is a compilation of the most popular colors for ALL 3 Nickelodeon embroidery cards, all colors needed to complete the Nick designs. *For Use With: PC-8500D, PC-6500, SE-270D, PR-600, PE-170D, PE-200, PE-700, PR-600II, Innov-ís 4000DLTD, PE-190D, PC-8500, Innov-ís 1200, PE-700II, PR-620, Innov-ís 900D, SE-350, LB6770 PRW, Entrepreneur® PR-650, PE-770, Innov-ís 1250D, Innov-ís 950D, PR-1000, NV1500, NV2500, NV2800, NV4500, NV6000D Quattro. Nickelodeon's absorbant and yellow Spongebob Squarepants is now on a Brother Embroidery Card. Bikini Bottom's favorite characters including Spongebob, Patrick, Squidward, Sandy, Mr. Krabs, Gary and Plankton are all on this amazing Spongebob Embroidery Card. 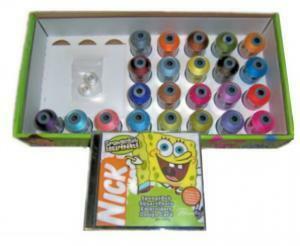 The Collection comes complete with a SpongeBob SquarePants embroidery card, 23 spools of specially selected Nickelodeon thread colors and 2 prewound bobbins to help any consumer produce the best looking, most realistic embroidery of the Nickelodeon characters offered on the Brother Embroidery cards. These embroidery designs are a great way to appeal to the next generation of sewers and embroiders and create enthusiasm among new creators and crafters. 2007 Viacom International Inc. All rights reserved. Nickelodeon, Nick Jr., SpongeBob SquarePants, Dora the Explorer, Blue's Clues and all related titles, logos and characters are the trademarks of Viacom International Inc. SpongeBob SquarePants Created by Stephen Hillinberg. 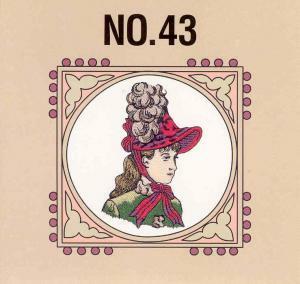 A classic card perfect for monogramming your next project! Choose from a variety of fonts offered in various sizes. Many of the fonts offer two cases, punctuation and numerical motifs. 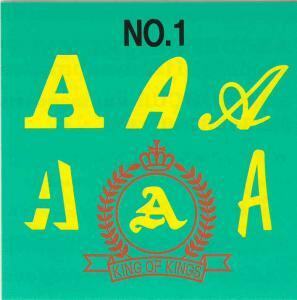 All fonts can be placed with the provide crests for a designer look. 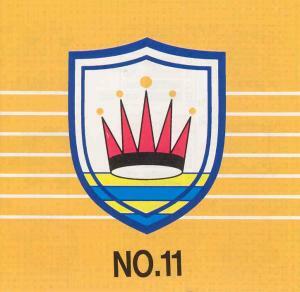 Tip: To eliminate the date shown on a crest...stop the machine when you get to this area during the embroidery process. Use the Layout function on the machine to "step ahead" stitch by stitch until you are passed the date. Press the START button to continue. 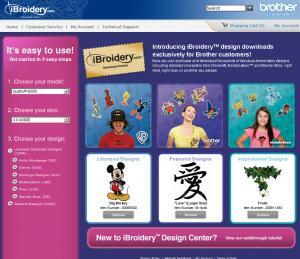 Because of the wide variety of embroidery machines made by Brother the process may vary from model to model. Consult your instruction manual for more instruction. 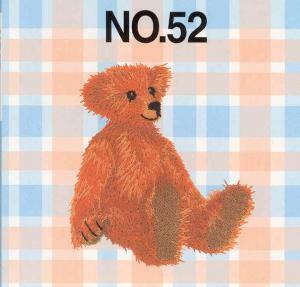 Letter sizes up to 1 1/2"
This playful Brother SA315 No.15 Cute Kids Embroidery Design Card is in stock now and delivered with free shipping. 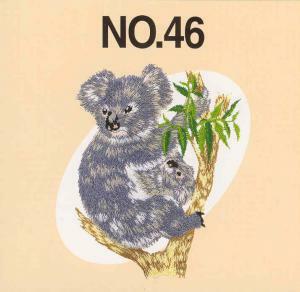 Brother SA315 No.15 Cute Kids Embroidery Design Card contains forty delightful characters, from bunnies to birds in sizes up to 4x4. 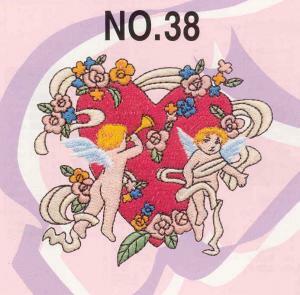 Contact our excellent customer service if you have any questions about the Brother SA315 No.15 Cute Kids Embroidery Design Card. Use of specialty hoops will allow you to stage multiple designs on your fabric, eliminating the need to re-hoop. Express your love of quilting to create a new quilt with a selection of 94 exquisite designs. Build the Big Quilt in sets of blocks, choosing the number of fabrics that are perfect for your project. *Memory Card No. 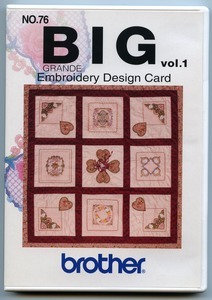 22 – Big Quilt The designs on this card vary in size but must be used in machines that have a (5" x 7") hoop area or greater. Card will not be able to open in machines with (4" x 4" ) hoop area. 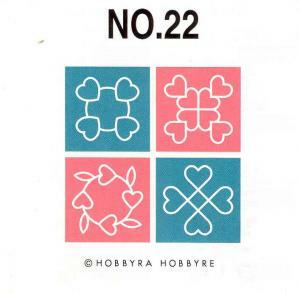 The SA322 Big Quilt embroidery card can not be used exclusively on these machine below because most of the designs are too large for 4x4 hoops. .
For Embroidery Machines having a minimum sewing field of 5" X 7" or more. Use of specialty hoops will allow you to stage multiple designs on your fabric, eliminating the need to re-hoop your fabric. 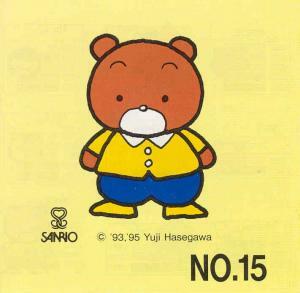 A must have for all bear lovers! This Bear Collection is packed with 36 beautiful images of bears made in a variety of styles, sizes and occasions. 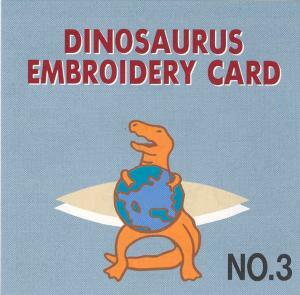 Our card provides numerous possibilities to embellish on children’s clothing. HE1, HE-120, HE-240, LB6770, LB6770 PRW, LB6800PRW, LB6800THRD, Innov-ís 1000, Innov-ís 1500D, Innov-ís 2500D, Innov-ís 2800D, Innov-ís 4000D, Innov-ís 500D, Innov-ís 900D, Innov-ís 950D, PC6500, PC-8200, PC-8500, PC-8500D, PE500, PE750D, PE780D, Simplicity SB7050E, Simplicity SB7500, SE270D, SE350, SE400, SE425, ULT-2001, ULT-2002D, ULT2003D, and all other Brother and Babylock card port machines. Many of the designs have a masculine look perfect for rear pockets on jeans, others fit perfectly on garments for the youngsters in your house! Taking a cue from those trendy jeans and t-shirts that the hip generation is wearing today, Brother has created an exciting new card entitled “Denim.” Many of the designs have a masculine look perfect for rear pockets on jeans, others fit perfectly on garments for the youngsters in your house! Don’t forget how much fun you can have using these designs with the cylinder frame on the machines in the PR-600 series. Many of the designs were created to give a look of continuity across a jacket back or a zippered sweatshirt! These designs will look great embroidered with cotton threads! Here's To The Hundred-Acre Wood®! 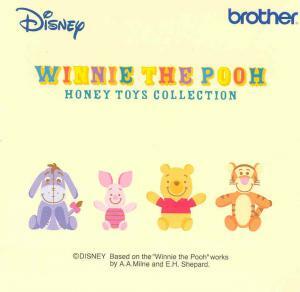 Piglet®, Eeyore®, Tigger®, and, of course, Winnie® all come to life with Brother's Winnie The Pooh® Memory Card. Embroider them fast and make things fun for your favorite Pooh® fan with this easy to use accessory. 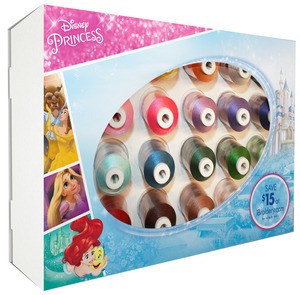 We have an entire library of Disney® Memory cards, each of which is compatible with all Brother labeled Disney® Home Collection Embroidery Machines. Start your collection today! All Embroidery Machines. Use of specialty hoops will allow you to stage multiple designs on your fabric, eliminating or reducing the need to re-hoop your fabric. Note: Models PE-150/200/180 require embroidery hoop (SA418) for multiple settings; Models PE-300S/400D/Innov-ís 500D require embroidery hoop (SA434). This card is also known as “Fabulous Frames and Flowers”, with 16 frame patterns/16 floral designs it is a show stopper. Coordinated frames and flowers were specifically designed for combinations that will easily fill the large 7x12" embroidery frame (16x26cm) that is supplied with the Innovis 4000D. Perfect for creating one of a kind heirloom quilts, beautiful Home Dec and so much more! Creative types will want to create multiple motifs and layer them for a 3-dimensional look. The floral pattern is perfect for making jewelry or using as embellishment for handbags or wall hangings! Whatever you choose to do, we know that you will enjoy making your very own original creations! *For Use With Brother 6x10"+ Card Machines: ULT-2003D, Innov-ís NV1500D, NV2500D, NV2800D, NV4000D, Duetta 4500D, Duetta 2 NV4750D, Laura Ashley NV5000, NQ1400E, NQ3500D, VE2200, VM5100, VM6200D, PR-600II, PR-620 with Card Slots. Note: Quattro and PR Machines without card slots would require Brother External Card Reader. Elegant, feminine, luxurious or demure – choose your look from among 45 new lace designs for decorating home fashions, clothing or gifts. Create your own look by combining motifs or experimenting with thread colors and metallics. Card contains 37 designs for 100mm x 100mm hoops; 8 designs for 130mm x 180mm hoops. 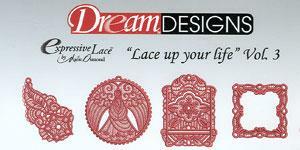 Machine embroidery lace making is taken to a new level with more than 30 lace designs. Whether you are using them as an embellishment for your favorite pair of jeans, a bridal veil or creating stand-alone embroidered baskets, napkin rings, jewelry. Lace making has no color boundaries either! Pick you favorite color and watch the beauty grow. Included are designs that can be embroidered on water soluble stabilizer so that they can be three-dimensional. 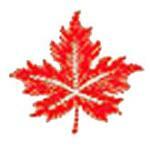 Designs can be created with all embroidery machine models that accept Brother's .pes format. These Designs Are Large and require a 5 X 7 Hoop. 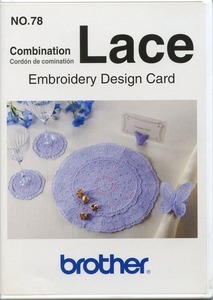 This Design Card works on Brother,Babylock,Embroidery Machines. Designs formatted to fit in a 4" x 4" hoop. 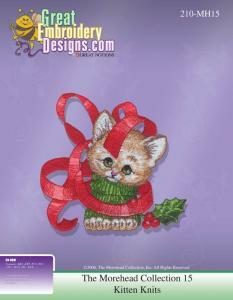 This Design Card works on Brother,Babylock,Bernina Deco 500, 600, 650, White, and Simplicity Embroidery Machines. This Design Card works on Brother, Babylock, Bernina Deco 500, 600, 650, Simplicity, EM1 And White 3300 Embroidery Machines. This Design Card works on Brother,Babylock,Bernina Deco 500,550 And 650, Simplicity and White Embroidery Machines.